Well done to our St Albans ‘Café on the Corner’ which has landed a marketing prize worth over £2,000 for their window display. The winning window featured illustrated scenes of St Albans, forest trees and cut out characters painted by the Camphill community, which included people from the café, art studio and Seeds of Nature allotment project. “My design came from Christmas inspiration. I drew the snowﬂake design and bought it to life using a jumbo pen on the café windows”. 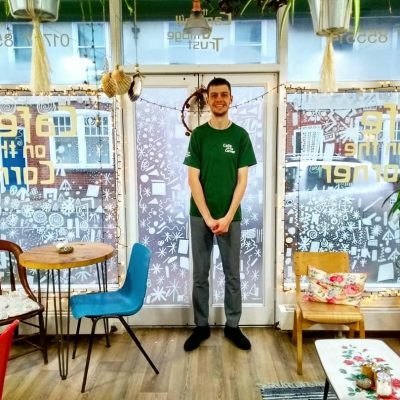 The Café which can seat 28 people promoted their window on their social media sites, conﬁdent that their “pretty magical” window “designed and handmade by the people we support”, was winning material. 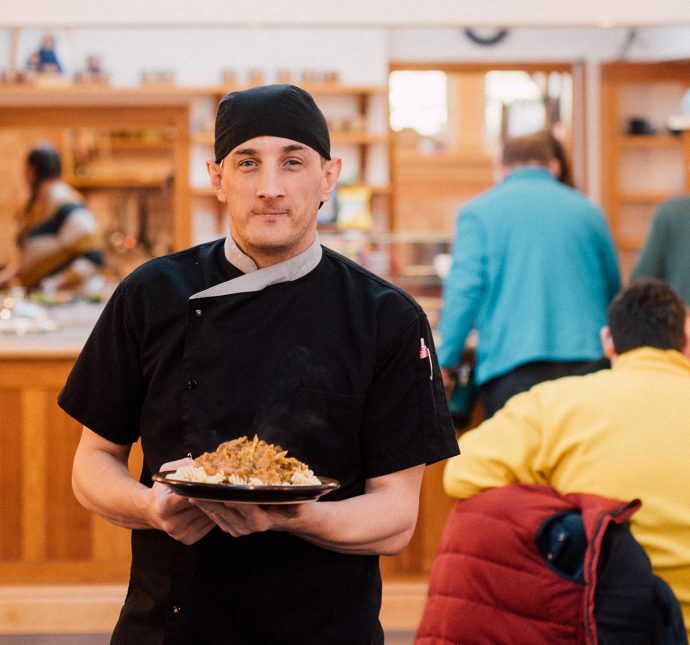 Their conﬁdence was well founded, with over 30 per cent of the 1,003 votes cast being in support of Café on the Corner. We’ve been operating on Catherine Street since 2001 so we’re delighted to have won the prize. Our community is really proud of their achievement. Currently twelve residents of Camphill St Albans work in the café along with a further seven day opportunities. The café is popular with families as high chairs are available and a baby changing unit has recently been installed.